Ever since the term “bomb cyclone” entered our vocabulary this month, we have been thinking of nothing more than snuggling inside with a hot mug of chocolate and a toasty fire. Winter has its own brand of magic, with delicate snowflakes and blankets of white snow. If you are planning for a winter birthday, we have a gorgeous treat for you in Jacqui Marino’s Snowy Birthday Soiree. 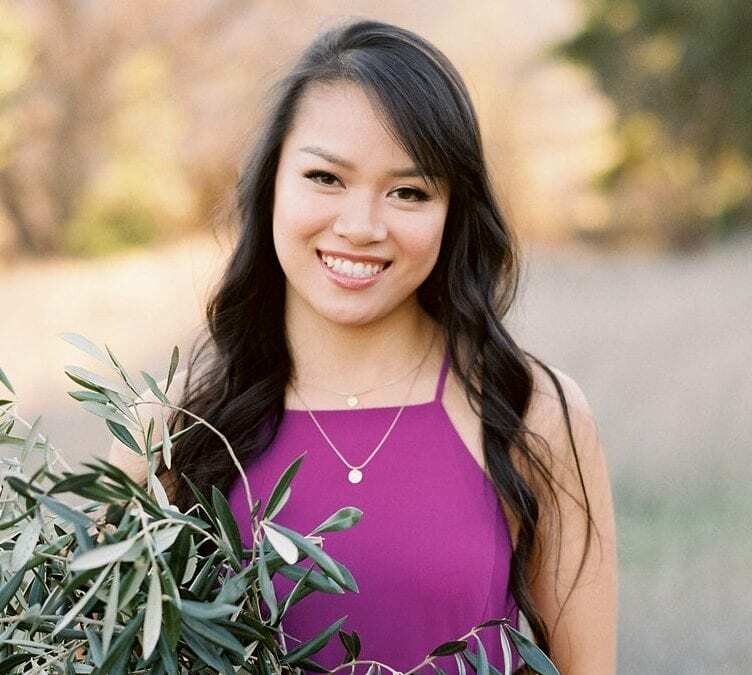 Jacqui is the owner of Deets & Things, a Newport Beach based event design company with the mission of “making every moment as special as our clients.” Jacqui strives to make all her clients’ celebrations one of a kind. 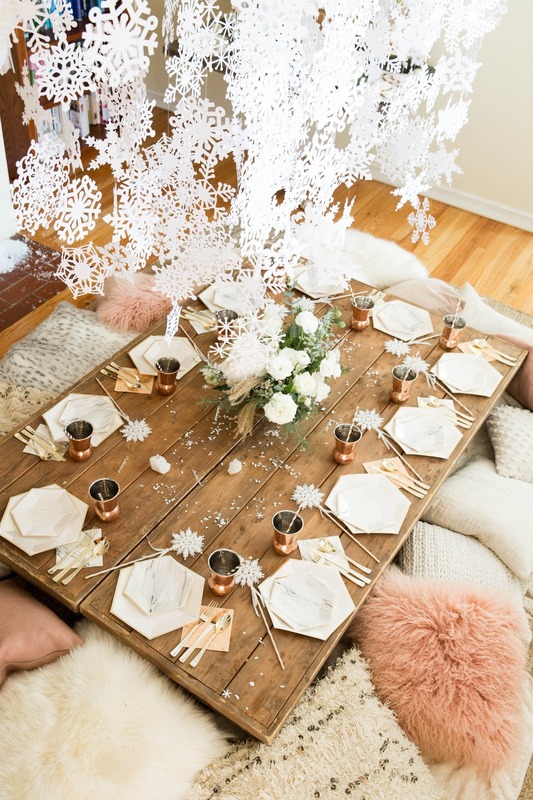 We are enamored with Jacqui’s feminine, elegant take on a winter party: a gorgeous wooden table is surrounded by comfy pillows in soft rose and neutrals, topped with copper tumblers and snowflake wands. Kids get hot cocoa and adults get snowflake martinis, and everyone celebrates under a DIY snowflake chandelier. The perfect touch of white roses adds to the magic. Cozy, casual, and yet over-the-top gorgeous – It’s the kind of party we love here at Black Twine!